Ahmed had signed a deal with ThreeBond Racing, but contractual difficulties ended the relationship after the recent two-day Suzuka test. The 19-year-old Briton now becomes part of a five-driver line-up at B-Max with Motopark, alongside former Renault F1 Junior Sacha Fenestraz, 52-year-old B-Max team principal ‘Dragon’ and 41-year-old series veteran Tairoku Yamaguchi – the other driver is expected to be confirmed before next week’s Fuji test. 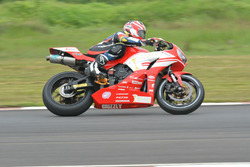 “I got approached [by Motopark] earlier this year and it came up again at the Suzuka test,” Ahmed told Motorsport.com. “When it fell through with ThreeBond that meant it made sense to go to B-Max. “It’s a really good opportunity to race with them – I think Motopark were probably the strongest team in FIA F3 last year, and we’ll easily be one of the most competitive teams in Japan. The ThreeBond deal collapsed because it was dependent upon Ahmed providing a very small amount of budget that he had secured from a sponsor, but that fell through when he finished the Suzuka test 1.5 seconds off the pace. Ahmed has been replaced at ThreeBond by Hiroki Otsu, who returns to Japanese F3 after two years as a Honda junior in 2016 and 2017, and against whom Ahmed won a ‘shootout’ for the ThreeBond seat in a test at Okayama. Motopark is yet to decide where it will place its Red Bull Juniors Liam Lawson and Yuki Tsunoda following the collapse of Formula European Masters. The team looks likely to head to Euroformula Open, where it would be able to campaign its existing Spiess-powered Dallara chassis. 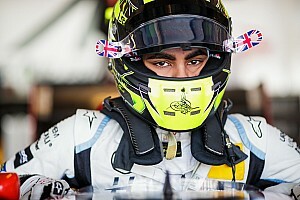 But the German squad has not ruled out a switch to the new Formula Regional European Championship, to which its former FIA F3 European Championship rival Van Amersfoort Racing committed on Wednesday. 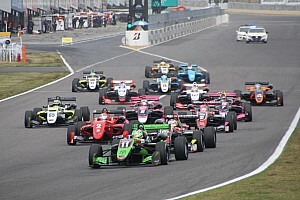 As well as Toyota Racing Series title winner Lawson and reigning Japanese Formula 4 champion and Honda protege Tsunoda, both of whom will dovetail their programmes with an attack on the FIA F3 Championship, Motopark has ex-Euro F3 racer Marino Sato on its books and is hoping to add a fourth driver. Team boss Timo Rumpfkeil told Motorsport.com: “We are in the final stages of evaluating how to move on. Motopark is expected to make its decision next week.